Diabetes insipidus is a medical condition in which the kidneys are unable to retain water in the body. This condition affects adults as well as children. Diabetes insipidus diagnosis is based on the observation of the clinical diabetes insipidus symptoms and the results of laboratory tests. Frequent and excessive thirst is noted as an important symptom in diabetes insipidus diagnosis. Diabetes insipidus diagnosis may reveal either a case of central diabetes insipidus or nephrogenic diabetes insipidus, based on the activity of ADH. ADH or Anti Dieuretic Hormone, also known as vassopressin, controls the amount of water conserved by the body. Central diabetes insipidus can be the result of a deficiency of ADH, while nephrogenic diabetes insipidus usually results when the kidneys do not function properly in response to ADH. 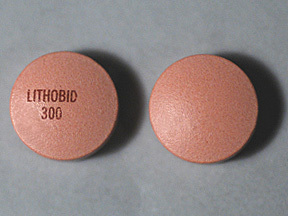 Sometimes it may also be a result of the use of drugs like Lithium and Amphotericin B. Here is a list of symptoms a person with diabetes insipidus may experience. The person may pass excess urine, which is often colorless. The amount of urine passed can range from 3 liters in mild cases to up to 20 liters in severe cases. The frequency of urination is as high as 15-20 minutes. He may feel excessively thirsty and dehydrated despite drinking lots of water frequently. 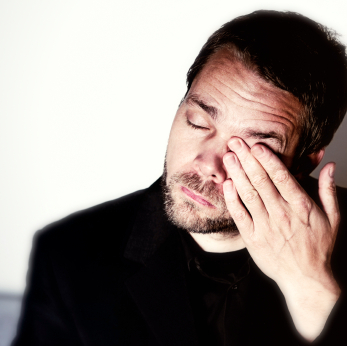 The person may have trouble sleeping, as he frequently feels the urge to urinate. This results in a disturbed sleep pattern and drowsiness during daytime. Due to the disturbed sleep pattern, he may feel tired all the time and also experience difficulty in carrying out routine activities. This can also lead to irritability and a loss of concentration. A person with diabetes insipidus can end up feeling vaguely unwell most of the time for no apparent reason. It is quite challenging to identify the symptoms of diabetes insipidus in children, as most of them cannot express their symptoms. Diabetes insipidus diagnosis becomes twice as difficult in children who have not learnt to speak. In such cases, parents can make the diagnosis easier by looking for the following symptoms in their child. An observation of a constant sense of fatigue and malaise can help in the diagnosis of diabetes insipidus. Children with diabetes insipidus may suffer from continued weight loss, vomiting, and diarrhea if the condition is left untreated. If an adult with the condition has not been treated, he can still remain healthy as long as he compensates for the persistent loss of water from the body. But he always carries the risk of dehydration. A loss of potassium can also occur in such cases. It is best to seek timely diabetes insipidus diagnosis and subsequent treatment for the condition to ensure optimal health. Before you learn about the diabetes insipidus causes, it is essential to know about the disease and what its symptoms are. Diabetes insipidus is a condition that brings down the kidneys’ ability to retain water through its natural function. There are two types of this condition, and these have been classified based on the diabetes insipidus causes behind each variant. 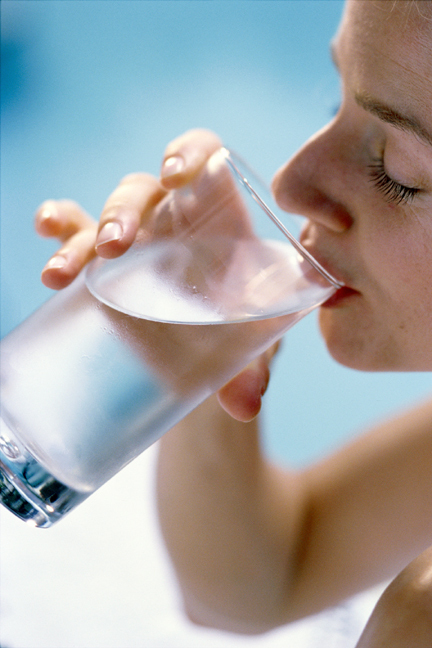 The Anti-Diuretic Hormone (ADH) controls the amount of water that they body should retain for its proper functioning. This hormone is also called vasopressin. When a deficiency of this hormone causes a change in the water retention cycle, the condition is called Central Diabetes Insipidus. When the kidneys in the body don’t function properly and fail to respond to the Anti-Diuretic Hormone, the condition is called Nephrogenic Diabetes Insipidus. The causes behind hypothalamus or pituitary damage is not known in around 30-50% of people who are diagnosed with central diabetes insipidus. One the main causes of nephrogenic diabetes insipidus is excessive lithium. Medications: Medications like lithium, amphotericin, gentamicin, and loop diuretics can cause diabetes insipidus. Lithium can accumulate in tubule cells and interfere with water/urea channels, impairing the overall urinary concentrating ability. Electrolyte Imbalance: An imbalance among electrolytes due to conditions like hypercalcemia and hypokalemia can cause diabetes insipidus. Kidney Disease: Conditions like Obstructive Uropathy, Chronic Kidney Disease, and other infections are possible causes. Complications that arise after a kidney transplant can also cause this problem. Systemic Processes: Sarcoidosis, Amyloidosis, Multiple Myeloma, Sickle Cell Disease, and Pregnancy can also impair kidney function. Rarely, the condition may be congenitally present due to a defect in the individual’s genes or receptors. Learning about such diabetes insipidus causes can help in making an informed decision while broaching the subject of treatment. Diabetes insipidus is a medical condition in which the kidneys are unable to retain water in the body. The amount of water conserved is controlled by the Anti-Diuretic Hormone (ADH), which is also called vasopressin. Diabetes insipidus symptoms start showing when the process of water retention is somehow affected. Understanding the primary diabetes insipidus causes is key to understanding the condition and its symptoms. This condition is normally a result of ADH deficiency, and under such cases, it is termed Central Diabetes Insipidus. It can also result when the kidneys do not function properly in response to ADH, and in such cases the disorder is called Nephrogenic Diabetes Insipidus. Sometimes, diabetes insipidus symptoms may also come to forefront due to the use of drugs like Lithium and Amphotericin B. It affects both adults and children. Given below are the signs and symptoms you may experience if you’re suffering from diabetes insipidus. People who are affected by diabetes insipidus pass excess urine that is often colourless. This is an easily noticeable symptom, as they may feel the need to urinate every 15-20 minutes. The amount of urine passed by affected individuals can range from 3 liters per day in mild cases to 20 liters per day in severe cases. Individuals with diabetes insipidus also face extreme thirst and a compulsive need to drink water regularly. A lingering feeling of dehydration contributes to this need of theirs. This symptom will persist even after they consume large quantities of water repeatedly, so this is an easily noticeable sign as well. Excessive thirst is one of the most common diabetes insipidus symptoms. The constant need to urinate also tends to interfere with the sleep pattern of individuals who are affected by diabetes insipidus, as they will find it hard to fall asleep due to the fear of wetting the bed. The disturbed sleep pattern might affect their daily routine too, as they’ll feel drowsy throughout the day. Diabetes insipidus brings about fatigue, and for this reason, affected individuals tend to be tired all the time. The disturbed sleep pattern (discussed in the previous point) also contributes to an inability to focus on daily tasks, due to fatigue and dehydration. Signs of irritability and a general lack of concentration are major diabetes insipidus symptoms that need to be noted as well. Detecting the condition in children is always a challenge, and for this reason, infants and young children need to be constantly monitored for the main diabetes insipidus symptoms. It is imperative to consult a doctor regularly for proper diabetes insipidus diagnosis and detection in such cases. Once the doctor notices the diabetes insipidus symptoms, he’ll be able to prescribe effective treatment measures.